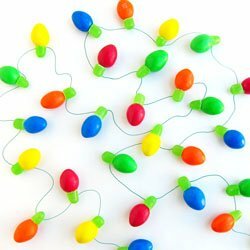 December 17, 2017 By This post may contain affiliate links. 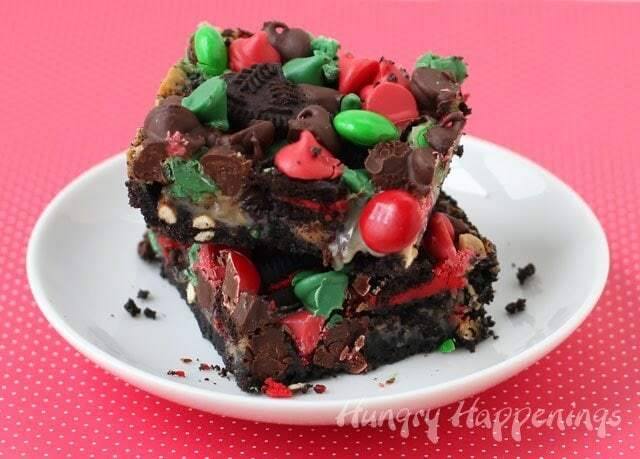 Christmas Magic Bars are gooey and rich with their OREO crust, caramel center, and loads of red and green M&M Candies, Holiday Chocolate Chips, Toffee, Pretzels, and Peanuts. They are so easy to make and to take along with you to a holiday party. Originally posted on December 22, 2013. If you have ten minutes, you have more than enough time to prepare a pan of these Christmas Magic Bars. Sounds good, right? If you haven’t discovered the wonders of magic bars (a.k.a. 7 layer bars or gooey bars) now is the time. 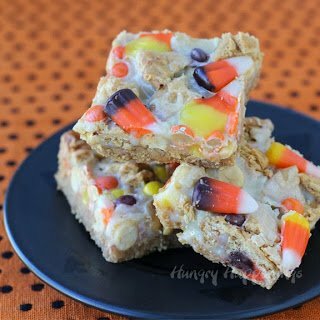 You simply top a crust of cookie or cake with sweetened condensed milk then sprinkle on your favorite toppings and let the magic happen as the magic bars bake in the oven. 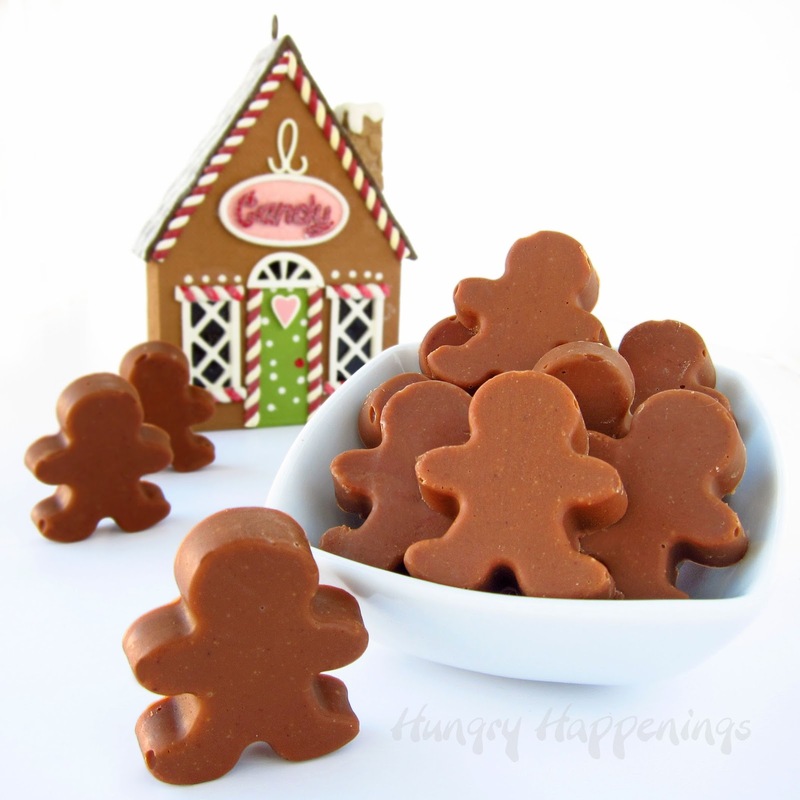 The sweetened condensed milk caramelizes while baking and turns into a gooey soft caramel that holds the bars together. 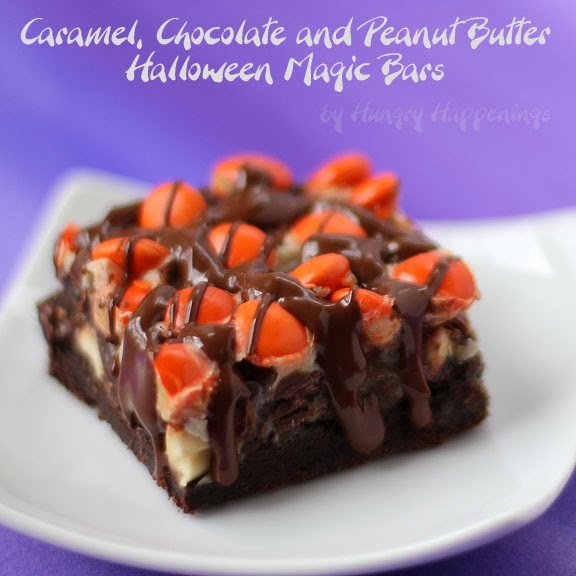 The beauty of magic bar recipes is that you can play around with all the other ingredients. 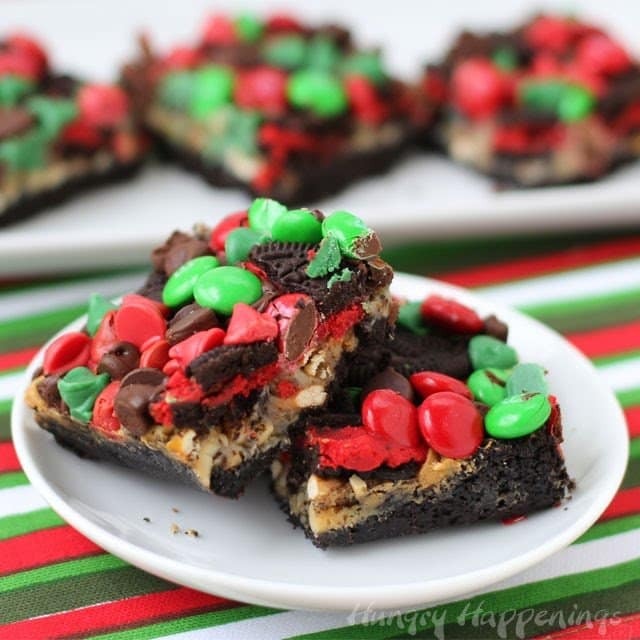 To make these Christmas Magic Bars I used OREO Cookies for the crust then topped it with toffee bits, peanuts, pretzels, holiday chocolate chips and Christmas M&M’s. This is absolutely one of my favorite combinations. While these bars were sitting on my counter cooling, some friends stopped by the house. I was thrilled to see how their eyes got big with excitement when they saw the dessert and they were elated when I offered them one. What happened next had me in stitches. Each woman began to, um, let see, how to put this delicately, make noises that should have come from behind closed doors. That’s the sign of a great dessert. Crush OREO Cookies into fine crumbs. I like to use a food processor because it makes this job so easy but you can place your cookies into a large zip top bag and wack at the cookies using a meat mallet, the back of a pan or a rolling pin. Be sure you get your cookies crushed up into small pieces. Mix the crushed OREO Cookies with melted butter. Once again, I use the food processor. I just drizzle the melted butter in through the feed tube with the processor still running. The butter blends with the cookies and quickly comes together. If you don’t use the food processor you can add the butter to your zip top bag and knead it into the cookies or you can pour the crumbs into a bowl and stir in the butter. Press the cookie mixture into and even layer in 9×13 baking pan. For easy removal I like to line my pan with non-stick tin foil. That way once the magic bars are baked I simply lift the bars out using the tin foil. Then I can peel off the foil and cut the bars. Sprinkle on your toppings including toffee bits, peanuts, and pretzels. Pour the entire can of sweetened condensed milk over top and spread evenly. Top with broken pieces of red cream filled Oreos cookies, 1/2 cup of the red and green M&M’s and 1/2 of the bag of Holiday morsels. Bake for 25-27 minutes until the sweetened condensed milk has caramelized. The sweetened condensed milk will start to bubble around the edges but may not be completely caramelized in the center of the pan. 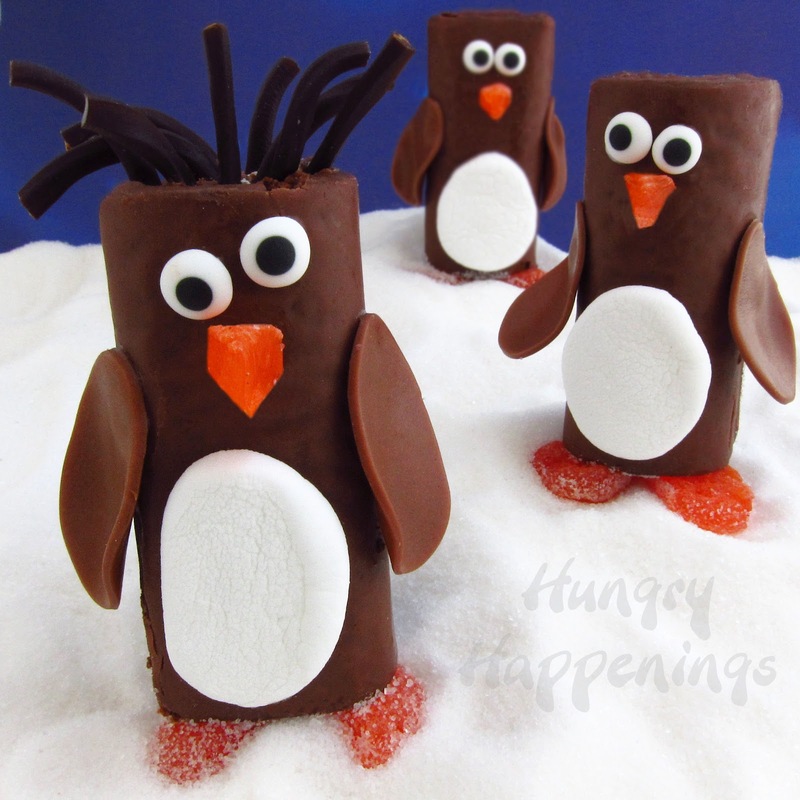 You can cover the edges with some tin foil and allow the center to continue to bake. Remove from oven and sprinkle on the remaining red and green M&M’s and Holiday Chocolate Morsels. 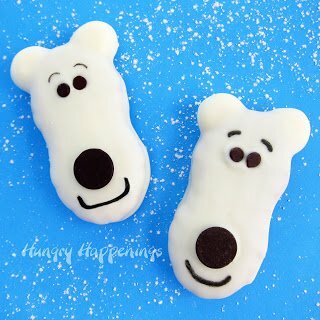 I like to sprinkle these on at the end of the baking cycle because the candies that have been in the oven the whole time will begin cracking and the chocolate chips will have browned and the new ones will be bright and colorful. Return to oven for about 3 minutes just to allow the chocolate chips enough time to soften so they will stick to the bars. Remove the pan from the oven, and tap it on the counter a few times. This will help secure all the M&M’s. Allow the bars to cool completely in the pan. This can take a few hours. Then cut the bars into squares. 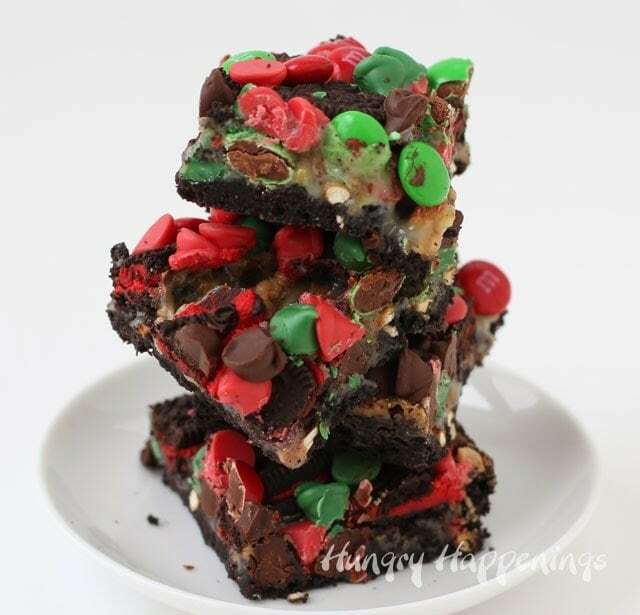 The M&M’s tend to crack as they bake and the red and green chocolate chips can turn a bit brown so that’s why I like to add some at the last minute. The fresh candies look really pretty on top. Be sure to press them down using a spatula or spoon. 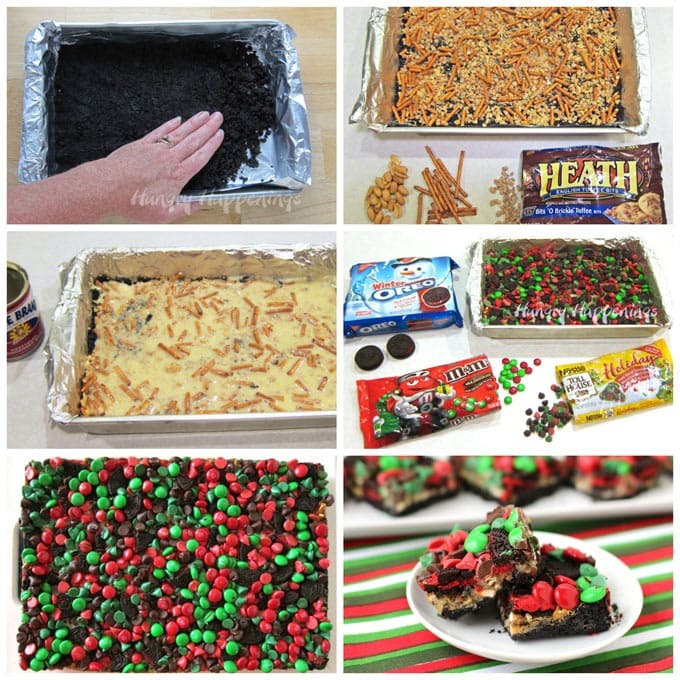 You can also place a cookie sheet on the baking rack above your pan of Christmas Magic Bars while in the oven. The cookie sheet will shield the bars from getting too brown on top. Allow the Christmas Magic Bars to cool completely before cutting. The edges will get a bit crunchier than the inside bars. 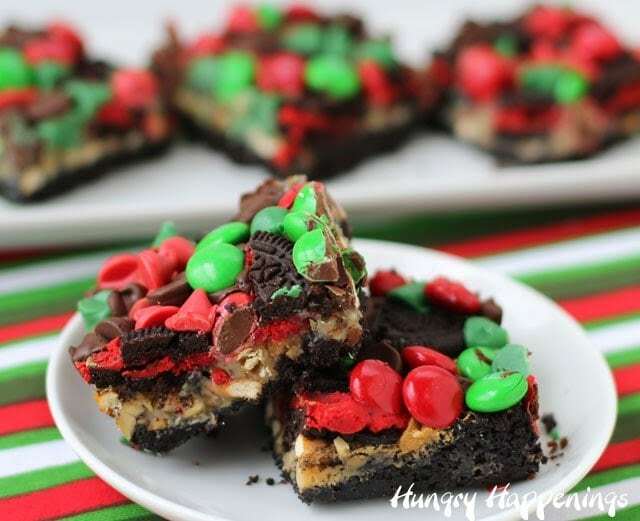 How to make 7 Layer Magic Bars with a Christmas theme. Line a 9x13 baking pan with non-stick aluminum foil. Mix crushed Original Oreo Cookies with melted butter. Press into and even layer in the 9x13 baking pan. 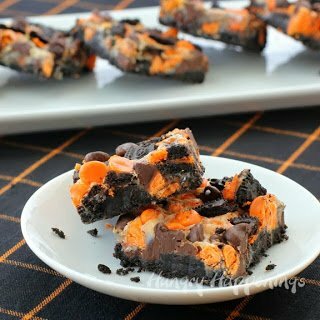 Sprinkle on toffee bits, peanuts, and pretzels. Pour sweetened condensed milk over top and spread evenly. Add the pieces of red cream filled Oreos cookies, 1/2 cup of the red and green M&M's and 1/2 of the bag of Holiday morsels. Bake for 25-27 minutes until the sweetened condensed milk has caramelized. 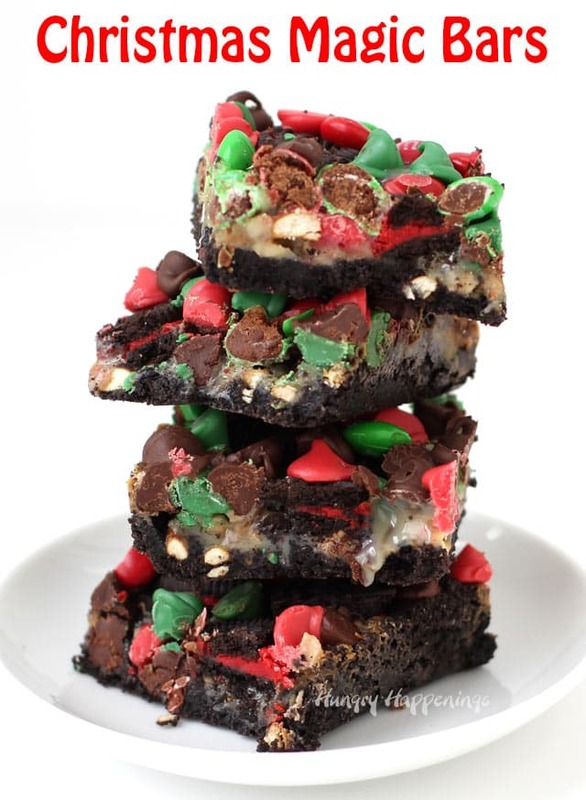 Remove from oven and sprinkle on the remaining red and green M&M's and Holiday Chocolate Morsels. Return to oven for 3 minutes. Remove pan from oven, and tap it on the counter a few times. This will help secure all the M&M's. Peel off foil. 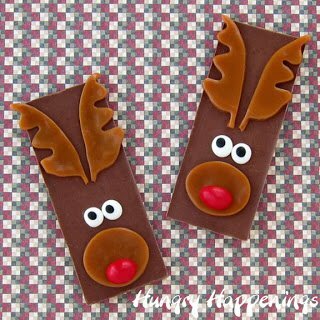 Cut into 24-30 squares. Beth, I just got home from the store with the ingredients to make these and noticed the "Printable form" of the Christmas Magic Bars does not include the Pretzels in the ingredients. I'm glad I read your entire post and bought the pretzels!! These look amazing-my family can't wait to try them!!! Oh, thanks for letting me know. I just started doing the printable recipes this week and forgot to update it after I realized I had left the pretzels out of the ingredients list on the blog post. I fixed the blog post before publishing it, but I didn't even think to go back and fix the printable file. Gotta be better about that! I'm not sure the Winter Oreos are available this year in this area – do they taste like normal oreos to just substitute those in? Yes, actually they just have red colored filing, but otherwise are exactly the same flavor as regular Oreos. These look so yummy and festive! Beth, I couldn’t tell for sure if the content of the post is from present day or 2013. So if you are under the weather with no tree up or gifts wrapped, i’ll be praying you are well soon! If not, MERRY CHRISTMAS, and thanks for another season filled with your amazing treats! LOL! Yep, the story is from 2013, but sadly I am sick once again. I think I work too hard during the holidays and almost always end up getting sick. I am fighting off a cold and hope it goes away soon. Thanks for thinking of me. I hope you have a wonderful Christmas. Omg. I love magic cookie bars and make them every year for cookie exchange. I love your version and I look forward to making them in the coming weeks. Thank you for sharing. 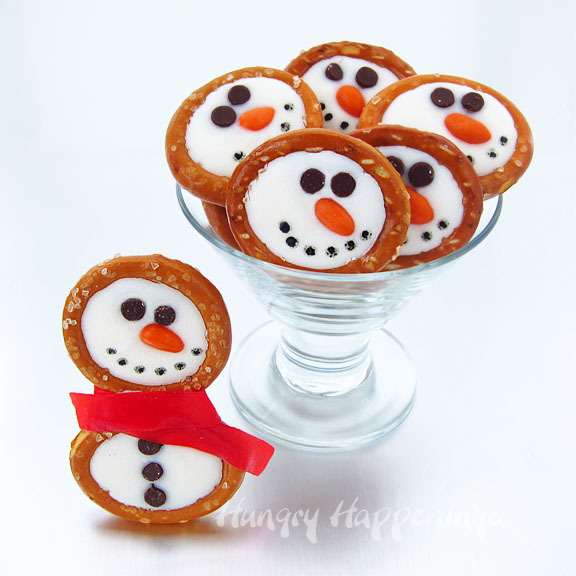 These are my mom’s favorite Christmas cookie. I hope you enjoy them as much as she does each year.